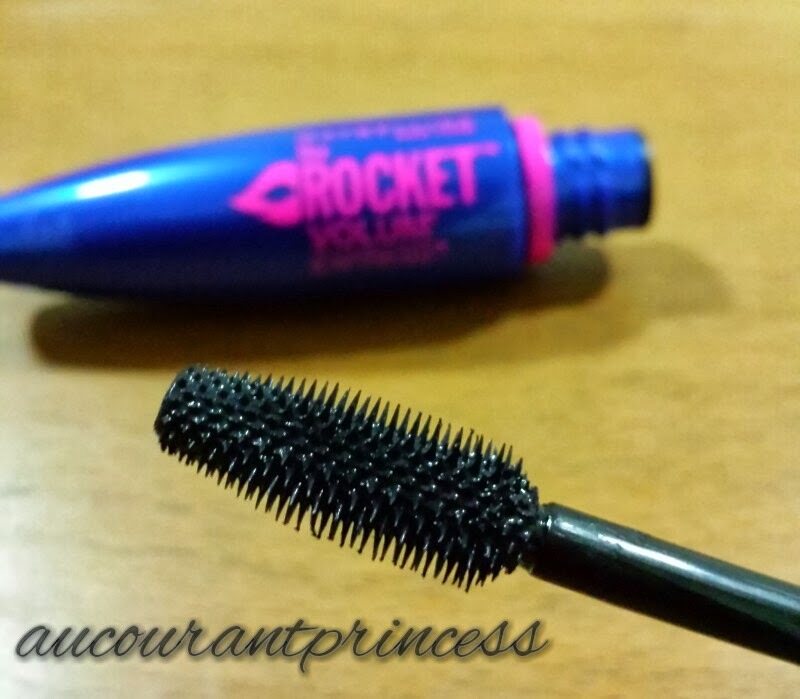 I'm doing a quick review on this new mascara from Maybelline which is called The Rocket Volum Express. I bought this product just as it is with some plastic wrapped on the center and I must say It really does shape like a rocket! One of the reasons why I picked it up is because it is new from their line which makes it relatively cheaper. Another is because I love the color combination. Maybelline's new The Rocket Mascara - gives you bigger brighter eyes in a flash! With the new innovative flexi fine bristle brush, Rocket gives you maximum lash separation and ZERO clumps! Say hello to visible, defined lashes with Rocket Mascara! Well let's try it out. For it's introductory price they sell it for $18.90 SGD which is relatively cheaper. (One of the reasons why I bought it as I've mentioned earlier. Ahahah!) I bought mine at Watsons. - I love the fine bristles. It does a great job separating my lashes neatly and less clumpy. 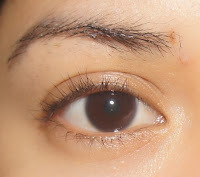 - It's not totally clump free but the clumping is less compared to others. - Smudge free as it dries up quickly. - It does open up my eyes. - Hard to remove. It took me a while to remove this product and I would usually end up up pulling those stubborn residue sticking to my lashes. Uuugghh! (Caution: Don't do this at home) I wonder why since this product is not waterproof. Hhhmm! - Brush too big. Honestly, I'm not comfortable with it and I had a hard time putting my mascara on. - It doesn't hold my curl. 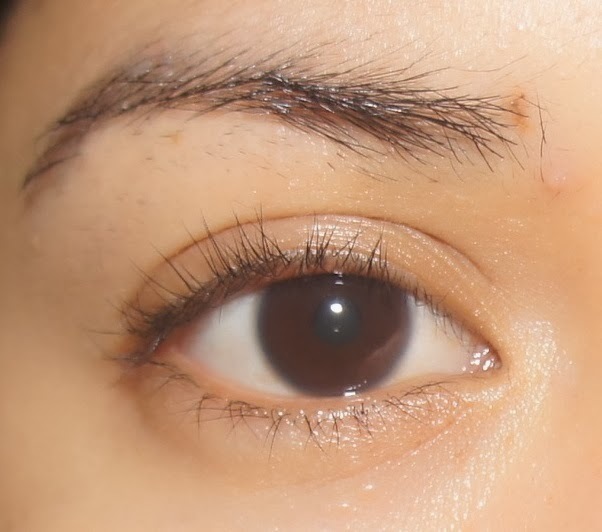 Photo from the left is curled but after applying mascara the curled lash is gone. * If you are a type who adds layer after layer of mascara then this product is not for you because it dries up easily causing your succeeding applications to clump together resulting to a spidery effect. 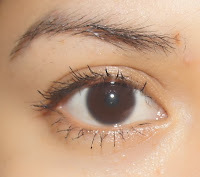 * Use this product as a base before applying other mascaras. (That if you want to use two mascara products at once) I must admit I like the fine bristles from the brush. It really does a great job separating my lashes. Well you get what you paid for. I'm actually a fan of their mascara's and i like this product besides the con's. They have kept what they have promise for which is good. I would recommend it to a friend and yes I'd be buying this product again.